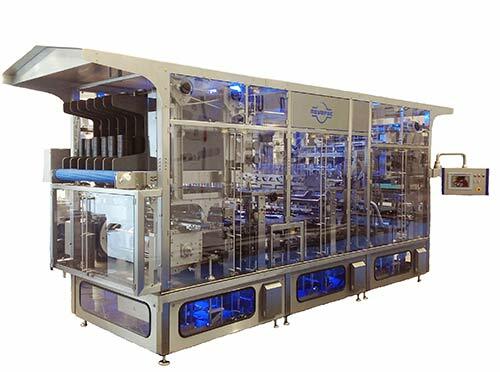 For flexible filling of different preformed cups with sterilization system UVC for cups and lids with laminar flow air hood for sterile air conditions. Linear servo driven cup fill and sealing machine. 2 – 8 lanes row configuration for flexible filling of different preformed cups. 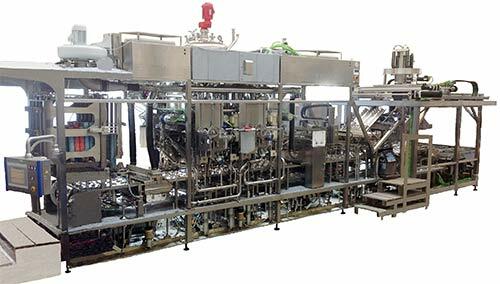 Linear servo driven cup fill and sealing machine 2 - 10 lanes row configuration for flexible filling of differnet preformed cups. linear cup fill and sealing machine for packaging of different products like dairy product, salads, confectionary products or bakery products as well as non food products..
pneumatical driven linear type cup feeding, fill- and sealing machine for one or two lane operation, specially suited for the flexible filling in preformed cups.